Few works of literature are as universally beloved as Alice’s Adventures in Wonderland. 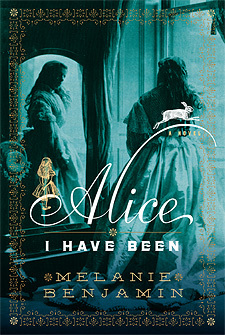 In Melanie Benjamin’s spellbinding historical novel, Alice I Have Been, we meet the young girl whose bright spirit sent her on an unforgettable trip down the rabbit hole—and the grown woman whose story is no less enthralling. Selected as an Indie Next Pick and for the Elle Magazine Readers’ Prize in January 2010, Alice I Have Been “seamlessly blends fact with fiction” according to its Publishers Weekly starred review. Melanie and I belong to the online writers’ community Backspace and she was gracious enough to interrupt her work-in-progress to answer questions for Birth of a Novel. I was fascinated to discover how she managed to create a fictional persona for the “real” Alice. SHAREN FORD: You’ve achieved a very authentic first-person voice for Alice Liddell Hargreaves—an upper-class English woman who grew up in the Victoria era. As a 21st century American writer, how did you go about this? MELANIE BENJAMIN: Through a combination of acting – and yes, I really mean that; I trained first as an actress and I’ve found it invaluable in my writing, allowing me to fully imagine myself as someone else – and just plain research. I was very familiar with the Victorian era prior to moving to historical fiction; my bookshelves were full of histories, biographies and novels written in that era. So I had that strong foundation even before I started writing Alice, and it all combined to make me feel very comfortable writing as someone in that era. I will say, however, that I think authors are drawn to certain periods; I don’t think I could convincingly write in the Tudor era, for example. FORD: You also succeeded in vividly capturing period and setting. How much time did you spend on research and did this involve traveling to England? BENJAMIN: No, I couldn’t afford to travel to England; when I wrote the book I did not have a contract for it and of course, had no idea if I ever would. So again, that background that I already had concerning that era and place helped, as well as research on the Internet. There is a marvelous site called Virtual Oxford, for example, that allows you to see panoramic views of different sites in Oxford via a series of web cameras. That helped – but then, of course, I had to figure out what was or wasn’t there in 1858, which required more research. Anyway – it all comes down to research! Finding books written of the place, during the time in which you are writing; histories; biographies; memoirs. FORD: What challenges did you face in creating fiction from the lives of real people? Did the Alice of your book spring entirely from your imagination, or did you attempt to model her in any way after the real Alice Liddell Hargreaves? BENJAMIN: I truly tried to use my imagination, which is my greatest asset and tool as an author, after all. I modeled Alice on how I saw her in that original photo as the beggar girl. Then I also re-read Alice’s Adventures in Wonderland, and to me the voice of Alice in that book really did match the face & spirit of the girl in the photo. That was my Alice; that was who had spoken to me originally, and so that is whose story I wanted to tell. Obviously I used the known facts of her life as a template, a foundation for the story – but the voice & the character were my creations. FORD: Your book begins with the words: “But oh my dear, I am tired of being Alice in Wonderland”, and ends with Alice empathizing with Peter Llewelyn-Davies, the real-life Peter Pan, about the burden that comes with being the inspiration for a beloved work of fiction. Do you personally believe that being immortalized in an art form can actually be detrimental? BENJAMIN: Well, ask Peter Llewelyn-Davies – or don’t, as he committed suicide later in life. As did his brother, Michael, who was more widely believed to be the inspiration for Peter Pan. But I think that it can be detrimental; sometimes a childhood is robbed or appropriated or exploited, and how, then, does the real person deal with that? How do they live with trying to always separate the fact from the fiction for the people in their lives? How do they live knowing that, perhaps, their most private thoughts and feelings are known to the world? So yes, I think it can be detrimental – but I also think it doesn’t always have to be. It depends, as always, on the individual involved. FORD: How long have you been writing and did you always know you would become a writer? BENJAMIN: I’ve been writing seriously for about 10 years now. I came to this late, after having tried my hand at acting and then doing my time as a soccer mom and PTA president. It wasn’t until my sons were about 8 & 10 that I started to write, and that was only because a friend of mine, out of the blue, told me that she thought I always would be a writer. But I was always a reader, and a storyteller. I just didn’t realize, until later, that those two things could make me a writer. 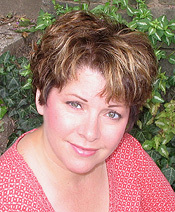 FORD: You’ve written two books of contemporary fiction under your real name, Melanie Hauser. Why did you decide to publish Alice I Have Been, a work of historical fiction, under a pseudonym? BENJAMIN: It’s purely a business decision. I changed genres, drastically, and sometimes it’s best to put some distance between the future and the past. FORD: You credit a writer friend with insisting that you write this story. Has the support and advice of other writers always been important in your career? BENJAMIN: Oh, yes, definitely! And in this wonderful age of the Internet and social networking, it’s easier than ever to find peers and support groups. When I first started out, even ten years ago, it wasn’t so easy, and I found it a bit lonely. I think writers starting out today have a great advantage. However, I will say that I’m a strong individual with a strong set of opinions & confidence; I listen to people, but at the end of the day I trust my gut, always, above all others’. FORD: Can you tell us something about your work-in-progress? Is historical fiction now your preferred genre? BENJAMIN: All I can say is that yes, it’s historical fiction, and I think it’s safe to say that I can’t imagine writing anything else now. It’s set roughly in the same time period as ALICE, but this time it’s a uniquely American story, about yet another amazing female you’ve not heard enough about. FORD: Do you have any advice for writers who are trying to become published? BENJAMIN: Well, just remember that no matter what stage you are in your career, you will always have to face rejection. You will always have to face the fact that unfortunately, the vast majority of people out there aren’t as big a fan of books and authors as we are. So you have to find that internal strength to keep writing; you have to love this for that, alone – not for the idea of publication. You also have to read everything you can, every day; I’m quite appalled at the number of would-be authors who ask me for advice, and who cannot answer me when I ask them what book they’re currently reading. I don’t quite understand how someone who wants to be published today isn’t reading what’s on bookshelves. So – work hard, be strong, and keep reading!